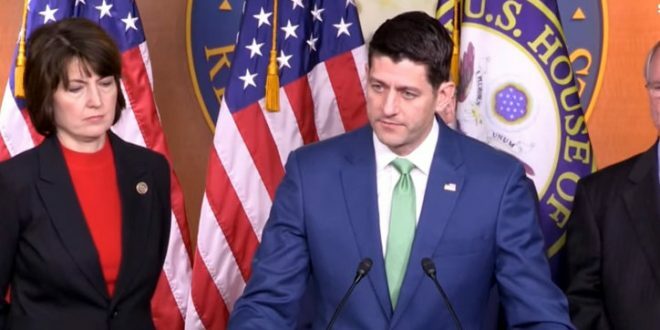 SPIN HARDER: Rep. Paul Ryan Shrugs Off Conor Lamb's Result Because He's An "Anti-Pelosi Conservative" - Joe.My.God. According to House Speaker Paul Ryan, conservatives actually won in Pennsylvania yesterday because Conor Lamb is one of them. Speaking to reporters at the weekly Republican leadership news conference Wednesday, Ryan defined Democrat Conor Lamb as a “pro-life, pro-gun, anti-Nancy Pelosi conservative” and noted that there wasn’t a Democratic primary that would have pulled Lamb to the left. While the Wisconsin Republican argued Republicans need to focus on their legislative track record in Congress and avoid being outraised, he still said he doubts this will become a trend in Republican-leaning districts because there wasn’t a primary. Are Paul Ryan and other Republican leaders really now prepared to say that “personally opposed to abortion” but thinks it should be legal makes Conor Lamb a “pro-life” politician?